BIG BEAR LAKE, CA/July 18, 2018– An aerial communication line along the I-15 corridor has been knocked out of service affecting landline communications to the 9-1-1 system in the Big Bear Valley. It is not known yet how much of the Valley is being impacted but it is confirmed that certain areas are impacted. 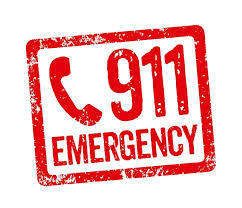 If a caller on a landline experiences problems getting through to 9-1-1, the San Bernardino County Sheriff’s Department is directing people to call (909) 387-8313. At that point the caller will be directed to either fire or law enforcement depending on need. This situation is not impacting cellular phones. We have been informed that it is anticipated that the line repair should occur between 8 am and 9 am this morning, but there is no guarantee. As soon as we have confirmation that the system is in working order we will share that information. In the meantime, callers experiencing trouble calling 9-1-1 from their landline should be directed to call (909) 387-8313.